Setting and tracking financial milestones for your child is as important as the physical development milestones we track with the pediatrician or the growth marks on our kitchen post because early money skills such as savings, budgeting and planning for purchases promotes financial literacy and prepares them for life on their own. Using Bargains, Deals and Coupons is a smart way to save money. Fun activities like rewarding them for good grades and behavior with deposits in their piggy banks, teaching them to identify coins and bills, setting up pretend store games and teach shopping with real money. 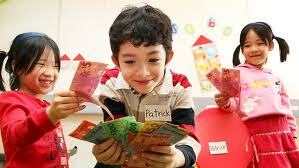 You can give a child a dollar and teach choices and value in selecting what they can spend that money on. Also compare prices of items in the store and differentiate between branded and non-branded items. They cannot buy everything in sight or everything they want. Savings and Interest – What are banks and why do we need them? Cultivate a habit of saving part of their gifts and allowance. This is a great time to start a child on an allowance and teach them how to appropriate their money, learn delayed gratification by saving for big-ticket items and using money as a tool to help solve the problems of others by contributing to a cause or charity. For religious people, the practice of tithing brings blessings and this is a wonderful time to introduce that principle. Learning to be generous is one of the most important financial milestones. Opening a savings account at your local bank, also helps them understand the concept of savings, safety and interest. Track balances and let them watch it grow with each deposit, that will help build a habit of putting money aside regularly. In David M. Schwartz’s “How much is a Million?” and “If you made a million” stories, Marvelosissimo the Mathematical Magician, teaches the various forms of money and concept of a million, a billion, and a trillion, easy for children to understand and makes the functions of the bank seem less intimidating. This great Scholastic video series is fun and entertaining for the kids, while teaching them life skills. By this time, most of our young ones may have earned steady allowances or some income through chores like cutting lawns, dog walking or paper drives etc.They also have saved some of their earnings. Talk about a 529 savings fund for college and show them the advantages of compound interest and use an online calculator to show the difference between starting at age 10 versus 20, and how interest earns more interest.Personally, It’s always exciting to see how their eyes open wide, as they get it! Credit has it’s benefits, but we need to teach them to avoid owing interest on credit cards and how to be smart about credit and borrowing money. Review your paycheck and the deductions to teach them that Uncle Sam will be taking a part of their earnings, even before they get to it. The importance and advantages of a good credit score. If you are not watching entertaining financial shows like Suze Orman, Mad Money, Shark Tank, How I made my Millions, etc. with them by now, this would be a good time to start. Reward them for doing it at first and as they start learning to get financially empowered, they’ll love watching on their own. Also use an online calculator and show how money grows faster in tax-advantaged accounts. Calculate and agree on the amount of emergency cash they should keep, experts recommend at least six-months living expenses and thankfully, The Affordable Care Act requires plans and issuers to offer dependent coverage available until a child reaches the age of 26. Pull and review a free credit report from Annual Credit Report and educate the child about the implications of collections and low scores on everything from renting an apartment to finding a job. We want our children to succeed out in the world and when we empower them with knowledge, we are helping to achieve these important financial milestones and mature into financial winners. As writers, we have a practical life with bills and laptops running out of power (juice) just as we are getting in the zone. My financial background has always kept me in the business world, navigating back and forth between crafting with words and crunching numbers. 1. When will you ever PAY OFF your Gas, Electric, Cellphone, Merchant Services, Home Security & Phone, Cable & Internet bills? 20 years? 40 years? Never? 2. Has any of your service providers rewarded you or anyone for your loyalty and monthly checks? Technology and Deregulation has changed everything…Now WE can make money each time we pay our own bills and help others do the same. We can be affiliates, control and cut the cost of our business. If rich celebrities and savvy business people like Russell Simons are signing up as representatives in Direct Sale Ventures like 5LINX, it’s because they understand the power of leverage and the wisdom of multiple streams of income. Financial mentors like Robert Kiyosaki (Rich Dad, Poor Dad) and Robert Allen (No Money Down; Multiple Streams of Income) have long advised us to invest in Direct Sales and Cooperatives. There is strength in numbers. 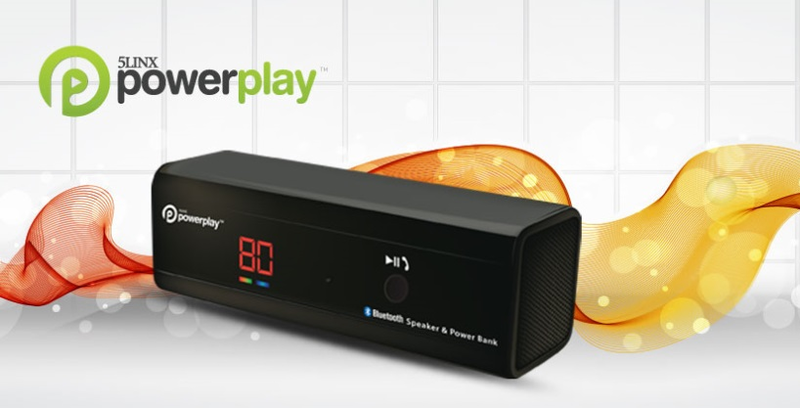 Let’s talk about a ground breaking product : The Portable bluetooth charger and speaker –5LINX Powerplay. Now we can charge ANY device, EVERY device that has bluetooth technology, anywhere and it doesn’t need an AC outlet to recharge iPhones, Android devices, Laptops, iPads, iPods, Tablets. You’ll never run out of power or ever be found sitting on the floor in airports and hotel lobbies, hugging electrical sockets and it’s also a wireless loud-speaker to stream music and movies from your phone. With this slick streamlined portable charger I can go to the park, the beach, my rocky secluded place surrounded by nature and write to my heart’s content. Just as a dear colleague and friend introduced me to this opportunity, Check out the Website here. Watch the videos about an on-trend and visionary private company that has grown 800% in the last four years. Note the word ‘private’ – like Microsoft,Facebook and Amazon was – It’s projected and on track to be a Billion Dollar company in a few years. Also watch the amazing 5LINX success stories and explore the possibilities of this opportunity, if you live in US or Canada. 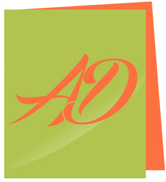 Also leave any questions for me on my website and I will be featuring some of the products and services on my blog. 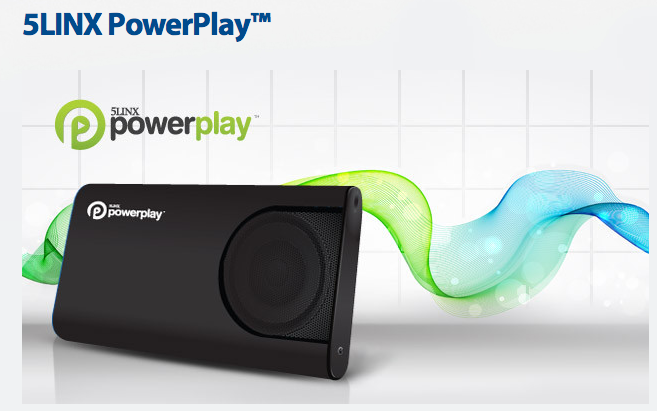 For now I’m excited about the 5LINX Powerplay and if you need a great portable charger, you’ve gotta check it out. See More information about the opportunity here.